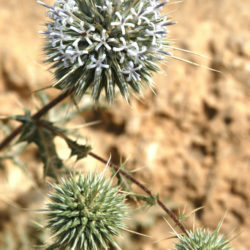 Echinops hussoni, or Globe Thistle, has a wide range of habitats. 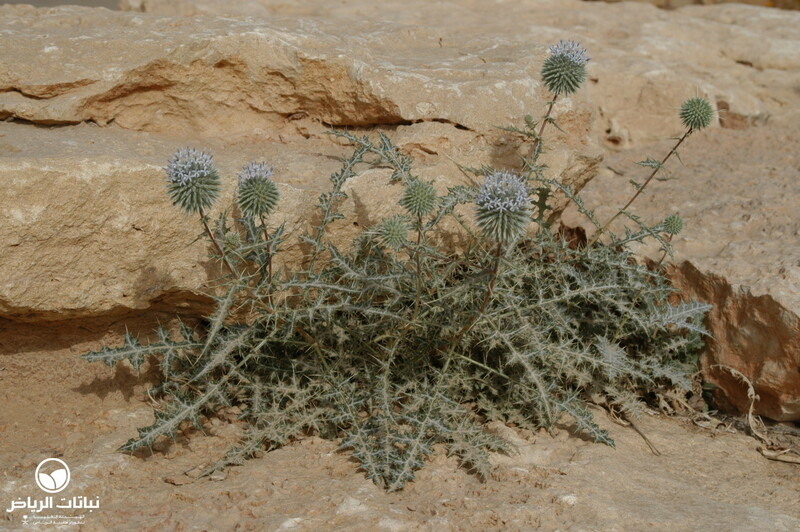 It is widespread in dry wadi beds in the Arriyadh region, whereby its original climatic zone is more Mediterranean and subtropical. It is known in Arabic as shidq aljamal. 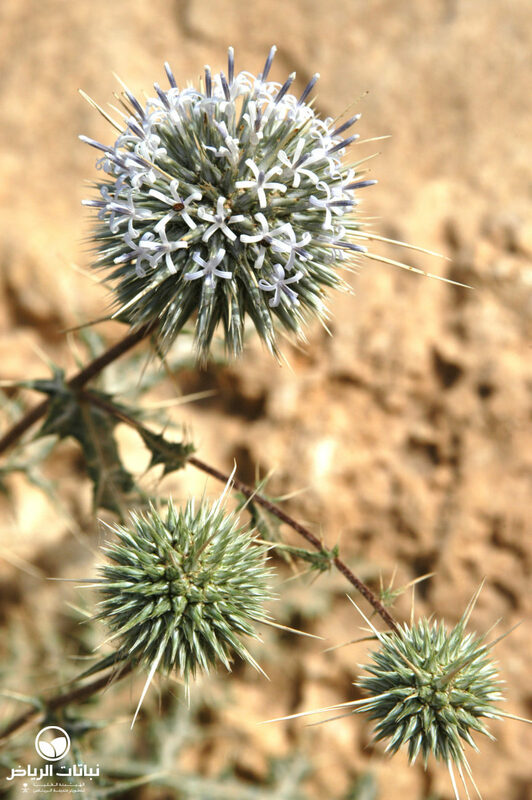 The Globe Thistle is a prickly, perennial herb, named after its attractive, spherically shaped, pale-blue flowers. It grows to a height of 60 cm. 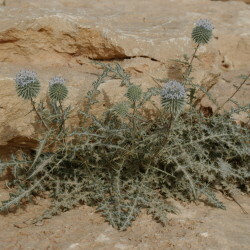 The stems and leaves are silver grey-green, soft, but with spiny tips and woolly underneath. 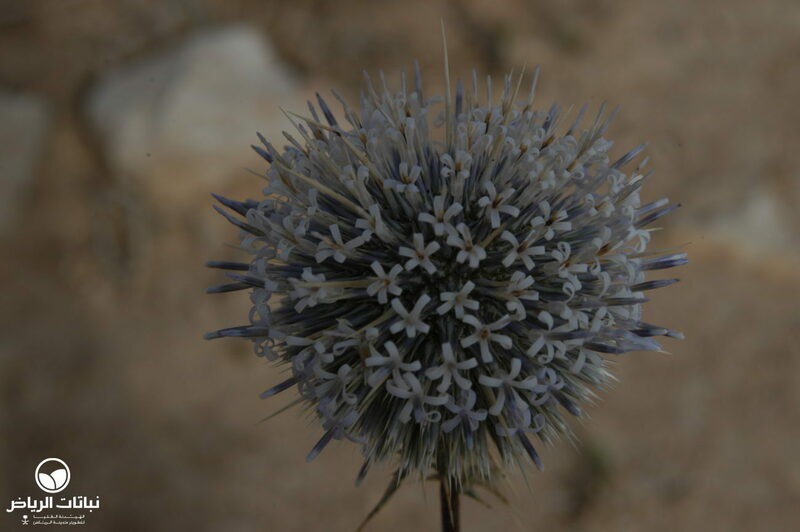 The plant’s leaves form a star on the ground from which the flower stalk emerges, usually during the early summer, bearing a globe covered with tiny flowers between the spines. 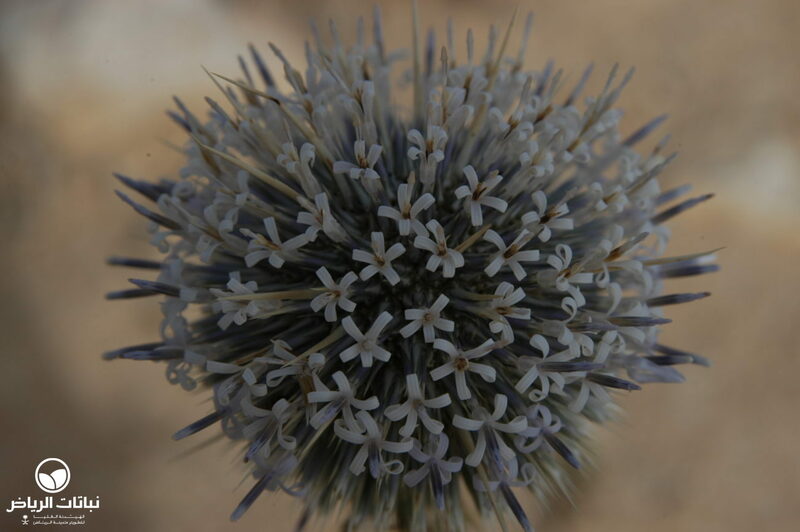 The blooms are still attractive, even when dry after flowering. 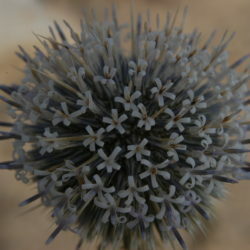 The blue globes attract many butterflies and other insects. The fleshy roots are quite deep. 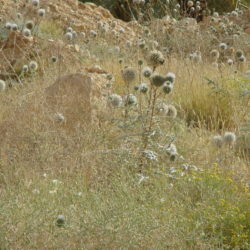 E. hussoni prefers poor, sandy or rocky soil that is well drained. 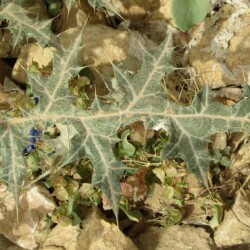 Tolerance to salinity is low, but otherwise the plant is well adapted to harsh, desert conditions. 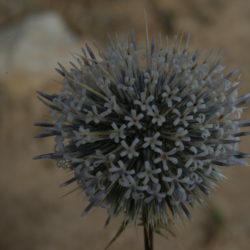 It can be propagated by seed, and it self-seeds easily. An attractive plant for massed planting or groundcover, as well as in rock or steppe gardens, this perennial is very useful for planting in open country as a coloniser, a slope stabiliser or on rocky hillsides. 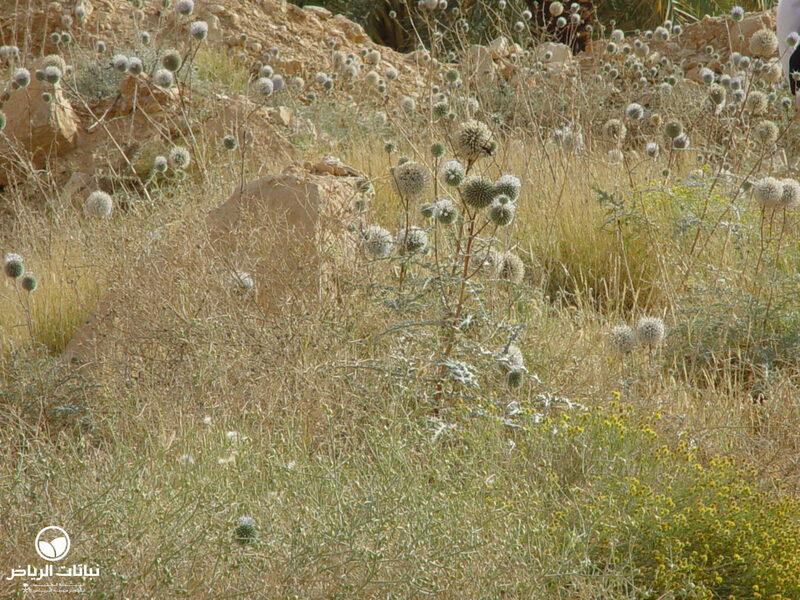 These thistles do not need irrigation once established, and maintenance is also very low.